Emotional scenes greeted the decision on 7th July by the General Synod of the Church of England, its governing body, to confirm the Church’s intention to consecrate women as bishops – a historic move which follows the decision to ordain women as priests in 1994. Speaking on BBC television’s Newsnight programme, Archdeacon Christine Hardman, from Lewisham in the Diocese of Southwark, said that the decision was based on the Gospel imperative to recognise the spiritual gifts and authority of women in the church and in society. Significantly, General Synod (comprising three ‘houses’ of bishops, clergy and laity) decided to reject so-called ‘super bishops’ and all-male dioceses – which would have had the effect of making women bishops ‘second class’, proponents warned. Because the Church of England is formally Established under the Crown, its decision, slightly bizarrely many will feel, has to be ratified by parliament. But this may have a beneficial side effect for women, since current standards of equality are higher in the secular institution than the sacred one. A number of senior parliamentary figures had made it clear that they would not accept institutionalised inequality in the matter of episcopacy. Indeed, provisions of the kind that anti-women’s ordination campaigners were demanding might well have proved illegal. However, a national ‘code of practice’, the contents of which have not been revealed yet, is being formulated to accommodate those who oppose women’s ordained ministry. This was also approved in principle by the Synod, meeting in York, and is likely to be a source of some contention – especially as it is being described as “statutory”. Archdeacon Hardman said tonight that a code of conduct could not and should not be used to impose, via the ‘back door’, those discriminatory provisions Synod had just rejected. Bishop John Broadhurst of Fulham, an opponent of women priests and bishops, reiterated the claim that a significant number of male clergy (some say over a thousand) may leave the church if they do not see the code as being sufficiently forceful. But he recognised that consecrating some women as bishops was a logical consequence of ordaining a larger number priests. In passing the measure allowing women to exercise Episcopal ministry, Synod decisively rejected amendments that would have structurally created bishops mandated to give away their authority or dioceses that would have been all-male enclaves. But the status of its alternative ‘code’ is at present uncertain. “This is a great and long overdue moment for full recognition of the ministry of women in the church and the full dignity of women in society,” an observer told Ekklesia. (d) instruct the legislative drafting group, in consultation with the House of Bishops, to complete its work accordingly, including preparing the first draft of a code of practice, so that the Business Committee can include first consideration of the draft legislation in the agenda for the February 2009 group of sessions. Following a vote by all three houses, the motion was carried – by 28 to 12 among the bishops, with one abstention; by 124 to 44 among the clergy, with 4 abstentions; and by 111 to 68 among the laity, with two abstentions. 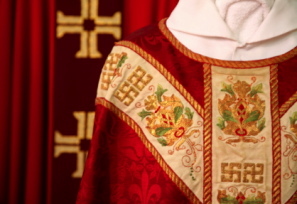 For some time now the Council of Forward in Faith has argued that the ordination of women as bishops (which we believe will render the ordination of women irreversible in the Church of England) requires a response on our part different in kind from that which followed from the ordination of women as priests. In the years before 1992 we put the case for ‘Alternative Episcopal Oversight’, and in the event were able to accept and work with something less – what has been called ‘Extended Episcopal Care’. This system of PEVs has served us well. We believe that the constituency is now ready to move forward, and that women bishops make such a move inevitable. The present arrangements depend heavily upon a notion of Communion as ‘impaired’ but not fractured. They hang, in fact, on the brief clause in the legislation which proclaims that ‘Nothing in this measure shall permit the ordination of women as bishops.’ When the collegiality of the House of Bishops (of which the PEVs are presently a part) embraces women, the present arrangements will have been rendered unworkable. ‘Impaired’ communion will have been finally and fatally fractured. Forward in Faith is arguing for a New Province of the Anglican Communion in the British Isles to address this sad eventuality. There are presently four Anglican Provinces in these islands: the Church of Ireland; the Scottish Episcopal Church; the Church in Wales and the Church of England. Two of those provinces – the Church of Ireland and the Church in Wales – are separated parts of the Church of England. The model we propose is based on the experience of the Church in Wales, which was constituted as an independent Province by Act of Parliament in 1920. There are some salient points about that separation which are relevant to our proposals. First, it was not effected by the Lambeth Conference, nor yet by the Anglican Consultative Council or the Primates’ Meeting (for neither body then existed), but by the British Parliament. There was, moreover, no intention to create another or ‘rival’ Church. Though Wales had been a part of the Province of Canterbury since the time of St Anselm, the Church of England did not continue a parochial presence there, but conceded territory to a new and equivalent body, with its own parochial structures and patterns of organisation. Finally, though ‘dis-endowed’, the Church in Wales continued to worship and serve in those churches and properties which had previously been part of the establishment of the Church of England. Our proposal is for the creation of a body not unlike the Church in Wales – one which would have a defined and distinct geographical identity, alongside the Church of England but not overlapped by it (though its parts would not necessarily be contiguous one with another). We are confident that the legal provisions for such a body are negotiable and would be relatively simple. First, distinct and separate orders of ministry, such that the bishops of the Church of England, both male and female would take no part in consecrations or ordinations in the new province. Where priests of the Church of England were concerned, the rules presently governing the relations of the Church of England with ECUSA [Episcopal Church of the USA] and other provinces which ordain women to the episcopate would obtain. Second, the right of the new province to select, train and ordain all candidates for its sacred ministry. We anticipate a movement in the Church of England away from traditional patterns of priestly formation, which the new province, on the contrary, would be eager to maintain and extend. Third, structures of governance independent of those of the Church of England’s General Synod. It has been suggested that the new province might operate under the General Synod, with the right to veto or amend decisions which it thought ill-advised or inappropriate (a relationship not unlike that of the Channel Islands and the Isle of Man in the Church of England, or of the Diocesan Synods to the General Synod in the Anglican Church of Australia.) We believe such an arrangement would be inadequate to the needs of the new province, which would need to be a body whose instrument of government was more than merely reflexive. Fourth, complete freedom of ecumenical manoeuvre. Subsequent to the ordination of women as bishops the Church of England’s ecumenical agenda and that of the new province are unlikely to follow the same trajectory. The aim of the new province would be reconciliation with the great churches of East and West. The Church of England would, by then, finally and self-consciously have surrendered that objective.